Unity. Among all the wishes Martin Luther King Jr. wanted for the world, unity was the most important. 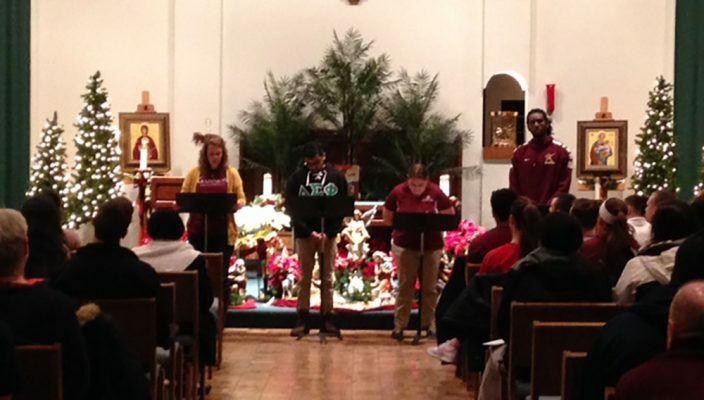 On Monday, Gannon students from various groups on campus including athletes, fraternity brothers and sorority sisters, and many others, came together to honor that wish at a prayer service led by students in the Mary, Seat of Wisdom Chapel. The evening began with a moving song about awakening with Christ and keeping true to the gospel teaching of loving everyone around you. As the words “Well, you can’t hate your neighbor with your mind stayin’ on Jesus” were repeated and sung soulfully by the very talented Delray Davis, resident campus minister, the lively message and spirit of the brave reverend came and stayed throughout the rest of the service. As the night continued with a reading from the Gospel of Matthew, more songs led by a gifted group of Gannon students and excerpts of works straight from King himself, both students and community members alike entered into a place of peace with the message of hope and love brought forth by King. I could feel the hearts of the students open as they sang the song lyrics with a passion and emotion that was unparalleled with any other song the rest of the service. 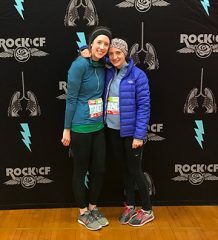 I could see the spirit of King move across each student and staff member as they gave themselves completely in the mystery of this prayer service, and in the mystery of understanding and compassion toward one another. Rather than doing anything else on a day off from school, these students spent their evening both praising Jesus and honoring the memory of the man responsible for the day off and also responsible for the idea of standing up, or rather “sitting in,” for what is truly just in our society. Students of all faith backgrounds, color, genders and interests came together not just as a Gannon family, but as a human family, to give honor to that message. I feel honored to have played a simple part in this truly wonderful night where the world was united through Gannon, if only for an hour. Students will have another opportunity to represent unity once again at the Campus Ministry event, “The Well,” a monthly ecumenical worship service with a bit of a coffeehouse feel. The next session will take place at 11 a.m. Thursday in Room 219 of the Waldron Campus Center. The speaker for this event will be Brent Heckman, director of Campus Ministry. He will continue the theme of the year of “The Promise,” which focuses on the gifts of the Holy Spirit and how they can be used throughout daily life to grow closer to Christ.